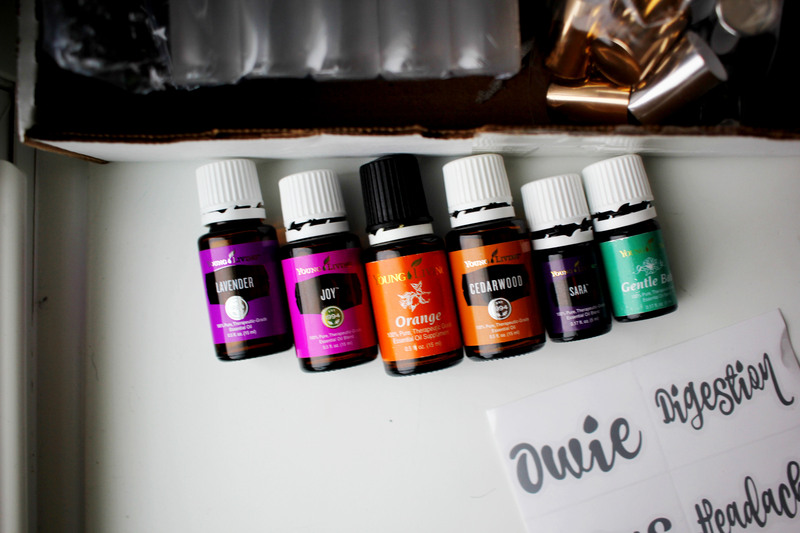 It has been a couple years since I discovered essential oils now, and I continue to find more and more uses for them! 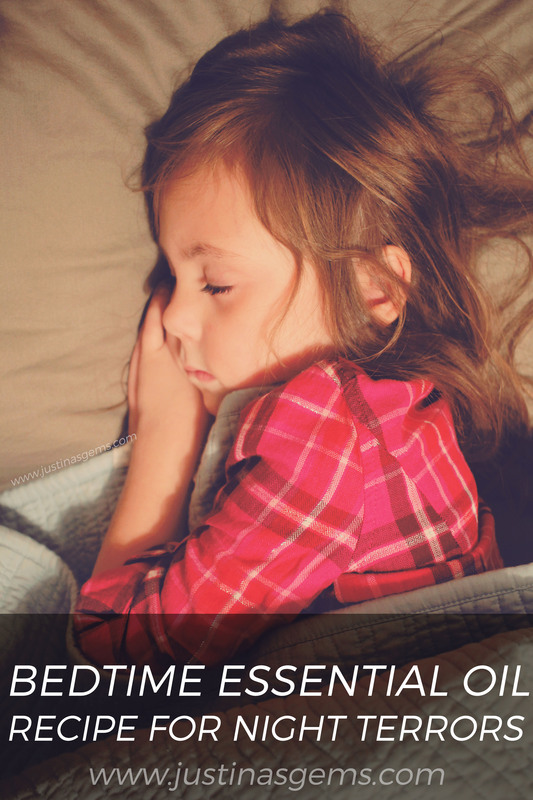 It all started with our middle baby, when she was teething like crazy, screaming in the night, and in absolute horrible pain. Nothing would work for her. We tried so many things, then we discovered Thieves from Young Living. Everything changed for us and it was our little miracle for Sibby, who finally was getting some relief from her pain. Fast forward a couple years and now we have another ailment that needed help from essential oils. Sibby is having night terrors at night. I know there’s not any kind of conventional medicine that would work for this so I did some experimenting with the oils I had on hand. I personally use and love Young Living, but I know there are other reputable brands. If you use another brand, please make sure to research and know how safe they are, especially before using them on children. Before I started playing with a recipe, I needed to gather oils, rollerballs, and labels. I recently discovered a site called Got Oil Supplies and they really saved me! I’ve purchased low quality rollerballs on Amazon before but the supplies I got from them were top notch and the prices were spot on. For this tutorial I used the 10 ml Clear Glass Roller Balls, and the Daily Drop Collection Vinyl Labels. I grabbed Lavender, Joy, Orange, Cedarwood, Sara, and Gentle Baby. Why those specific oils? When my daughter wakes up and screams in the middle of the night, it is the saddest thing in the world. I looked through my oils to find something for relaxation (Lavender, Cedarwood), something specifically for soothing little ones (Gentle Baby), oils for uplifting a person’s mood (Orange, Joy) and I happened to have Sara on hand which is good for people who have been through trauma. If you ask me, a little one screaming in the night seems pretty traumatic! So, on to my experiment. I wanted to heavily dilute this blend so I put 5 drops of each oil in, and topped the mixture off with Fractionated Coconut Oil. I was really happy with how easy the jars were to fill and any excess oil wiped easily off. I then placed the label with the contact paper onto the jar (they fit perfectly) and peeled the backing off. Easy peasy! How did it work? Like a charm. My kids have never slept better. Honestly! It worked great the first night and now everyone uses it. We have had some sound sleepers and no night terrors for about two solid weeks now. I am thrilled! Here is the exact list of things I used just so you have it all in one place! This one was so successful, I can’t wait for my next essential oil DIY! 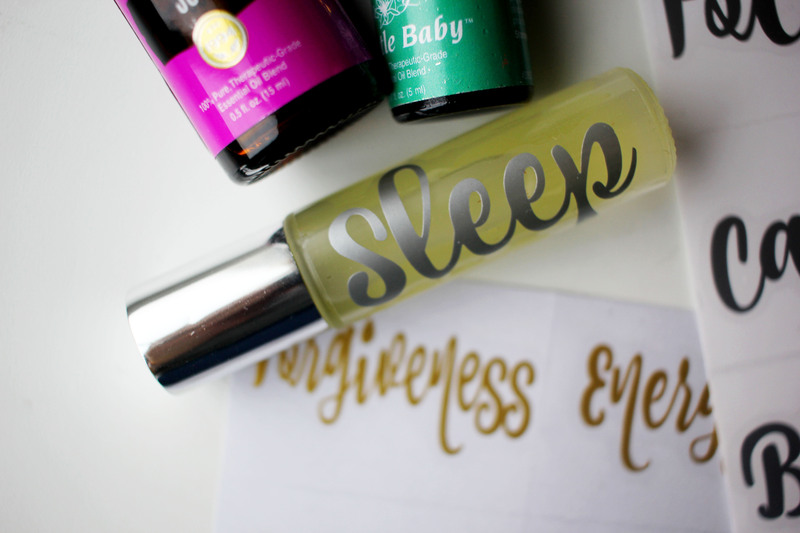 Do you DIY with essential oils? Share a favorite recipe with me in the comments!